International Programme for Development Evaluation Training (IPDET 2.0). 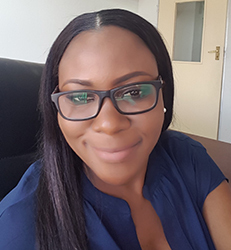 Yvette Musunga Kaoma is knowledgeable in undertaking strategy management processes through the use of methodologies including Results Based Management (RBM), the Balanced Scorecard and PRINCE2. She holds a Bachelor’s Degree in Library/Information Science and Development Studies from the University of Zambia and a Master of Philosophy (MPhil) in Information and Knowledge Management from University of Stellenbosch. Ms. Kaoma is an alumna of the International Programme for Development Evaluation Training (IPDET 2.0).